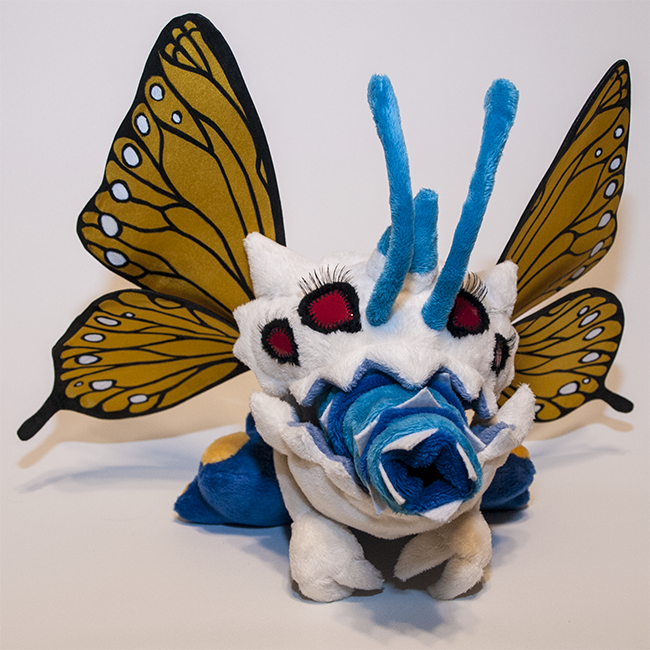 A petite and adorable display plushie of one of my favorite champions from League of Legends: Kog'Maw, the Mouth of the Abyss. This is his glorious monarch butterfly skin. 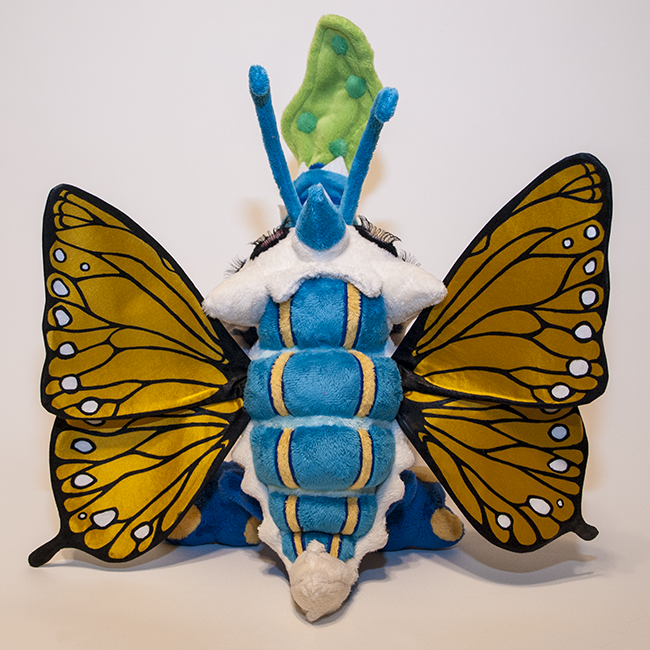 Monarch Kog'maw is made from minky for a soft, cuddly touch and bubbly look. 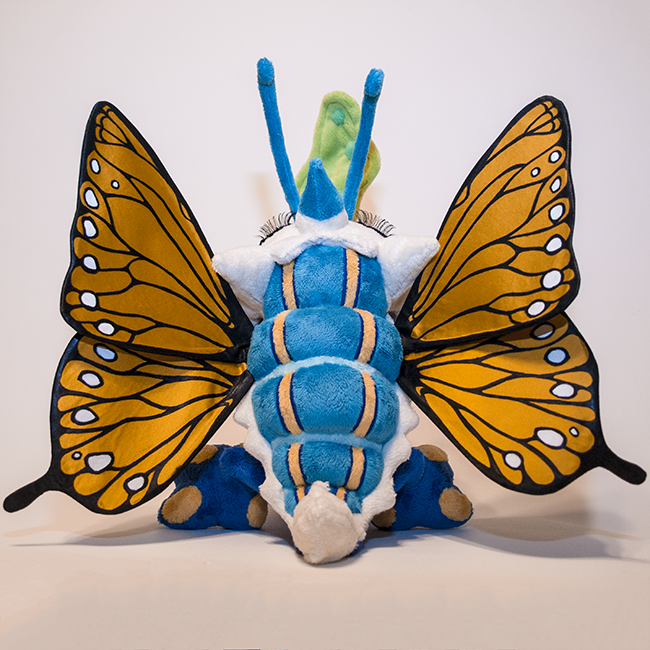 Filled with high quality stuffing, some bean pellets in his bottom for counterweight, and thin wire to hold the shape of his limbs, wings and antenna. Comes with acid spittle accessory, and his tongue doubles as a pocket to store his acid spittle! His eyelashes are false eyelashes that have been hand sewn in place. 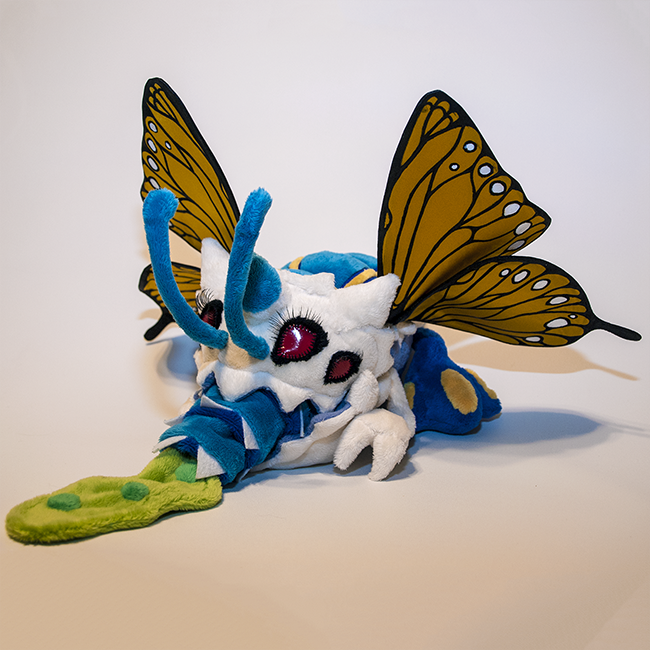 This plushie requires a lot of slow and careful sewing by hand to create his highly complex and detailed design, and is intended as a display plushie due to his wire armature and semi delicate wings. He is not intended for young children or heavy play and cuddling, but can handle gentle play. The wings are delicately hand painted with fabric paint on high quality silk, which has a wire outer amature and interfacing to hold the wing shape. 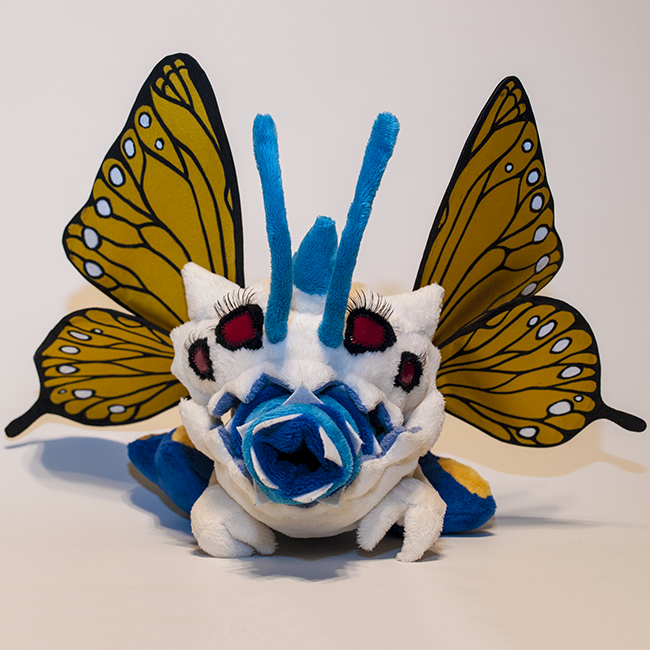 They are very time consuming to create, hence why Monarch Kog'maw is more expensive than my other Kog'maw plushies. Thank you for understanding!